Is anyone else missing that warm weather we had last week? I know that it was unseasonable and crazy and probably a bad sign for the environment, but that doesn't mean it didn't feel good to be out and about in the sunshine after months of gloomy skies and below freezing temperatures! The weather got me really excited for spring and for our trip to southeast Asia next month, so I used it as an opportunity to shoot a few warm weather looks. 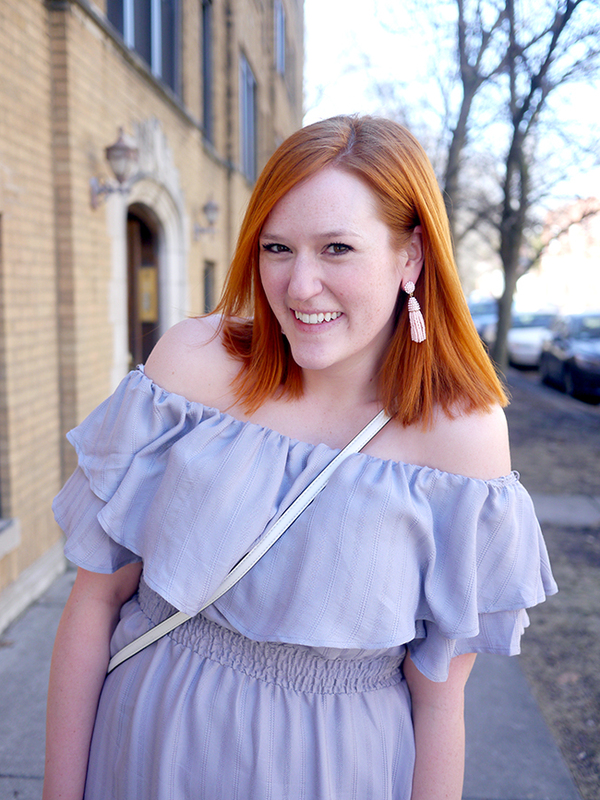 This dress is hands down my favorite thing I've added to my closet this month (my monthly budget post will be live tomorrow!) and I foresee washing it in the sink multiple times during our trip so I can wear it over and over. 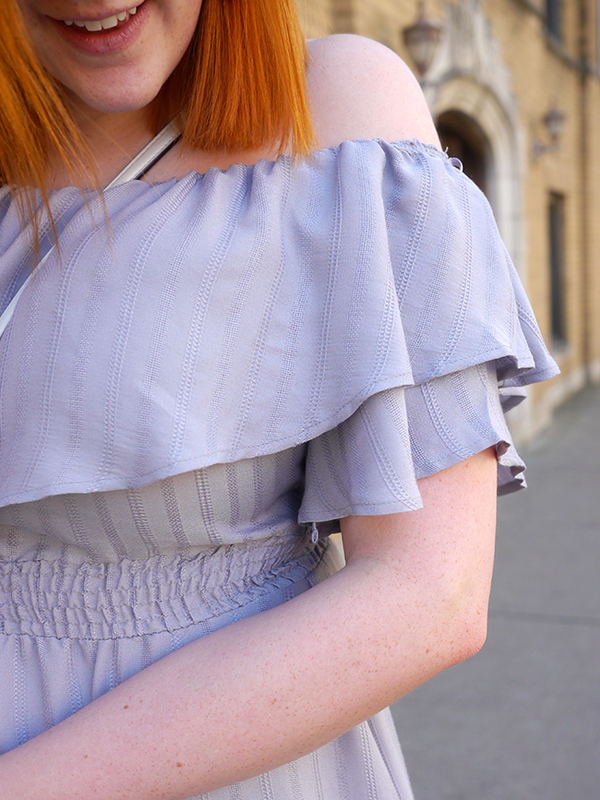 The double ruffles are just so fun on the sleeves, and I love the pretty lilac gray color. 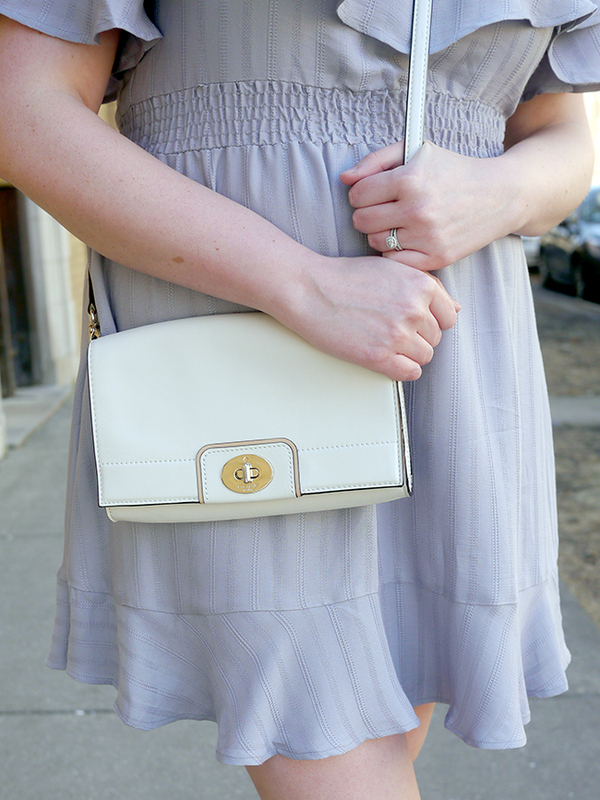 I'm loving it with easy light accessories here for a pretty pastel spring look, but I think this dress will go well with fun, bright summer accessories too. 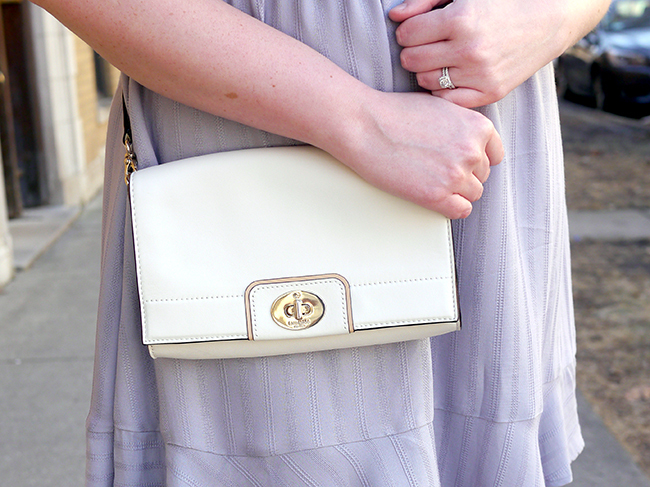 Linking up with Style Sessions, Confident Twosday, Trend Spin Linkup.